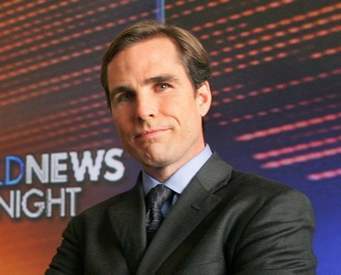 It's been six years, and sometimes Bob Woodruff's brain still doesn't allow him to find the words. The famed ABC broadcaster — the one-time anchor who was nearly killed by a roadside bomb in Iraq in 2006 — recently broadcast live from the John Edwards trial. Such are the dangers of going on live TV while still recovering from a severe brain injury that affects memory and word recognition. Such are the stories that Woodruff himself wants to tell on behalf of thousands and thousands of American service members who have suffered traumatic brain injuries, now known as the signature wound of the Iraq and Afghanistan Wars. “I didn't even know what a TBI was before this happened to me,” Woodruff said last week, as he took a break from the Edwards trial to talk about brain injuries and an appearance that he and wife Lee Woodruff will make in Omaha. The Woodruffs are the keynote speakers at the 2012 D.J. 's Hero Awards Luncheon, a Salvation Army fundraiser scheduled for Monday at the CenturyLink Center Omaha. They will speak about Woodruff's stunning recovery from a head injury in 2006 that left him in a medically induced coma for more than a month and had doctors theorizing he would never walk or talk normally again. Today, he reports regularly for ABC. He and Lee co-wrote a best-selling book, “In an Instant” about Woodruff's injury and recovery. The Woodruffs will also talk about the unvarnished reality of a serious brain injury. They will talk about how Bob Woodruff's recovery has proceeded in fits and starts, with four fantastic days followed by a tough one where he is fatigued and gets frustrated trying to remember words that used to come effortlessly. Lee Woodruff, an on-air contributor to the CBS morning show and the author of three books, will talk about her experience as her husband's primary caregiver. She'll talk about the days just after the injury, when she was successfully juggling hospitals and doctors and the couple's four children. She'll talk about when her husband started to recover, and she took a deep breath and plunged into depression. Bob Woodruff thinks speaking about his recovery is important because he can speak with serious experience about what life is like for the staggering number of wounded American troops. Some 320,000 Americans have suffered a traumatic brain injury in Iraq or Afghanistan, according to a RAND study. Most are minor, similar to a slight concussion, with no lingering effects. Others are major and can cause severe headaches, memory loss and personality changes. At least 20 percent of returning troops come home with post-traumatic stress disorder or some form of depression, that study says. Often, Woodruff says, a veteran returns home from Iraq or Afghanistan with both a brain injury and post-traumatic stress. These veterans may not get the care they need quickly: A recent report by the VA inspector general found that a majority of American veterans who sought mental health care waited about 50 days before the VA evaluated them fully. Lee Woodruff thinks talking about recovering from trauma is important because nearly everyone, whether they are a soldier or not, will eventually experience it. She cites recent research that says as many as 90 percent of us will experience a traumatic event in our lives, like a car crash, a natural disaster or the sudden death of a loved one. Link to the Omaha World-Herald.